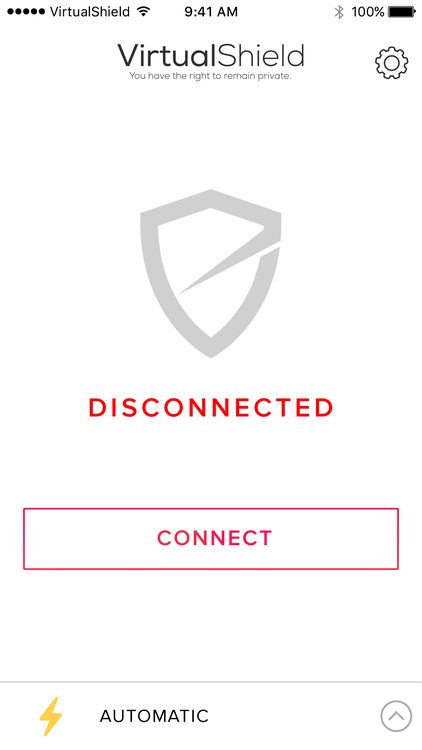 Once you've logged in to the VirtualShield application, connecting to our secure network only takes one tap. Note: The screenshots in this tutorial are from the iOS application. However, this same process applies to all of our applications across all major platforms. Now simply click the "Connect" button and give the application a few seconds to connect. 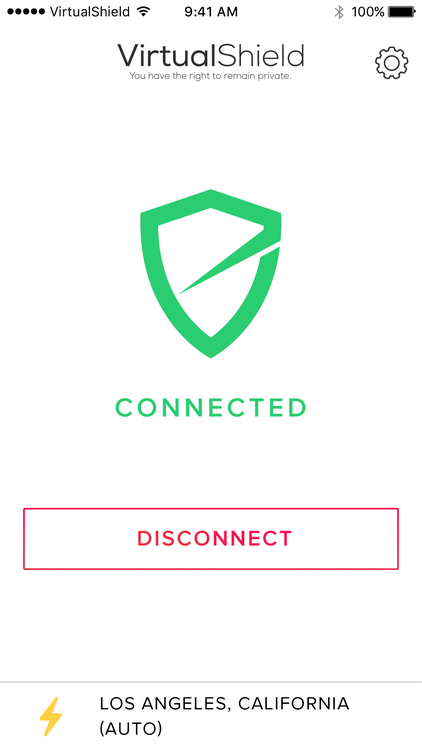 When you are successfully connected, you will see a green "Shield" icon, as seen below. That's it! You are now connected to VirtualShield. Your internet connection is encrypted and secure. For our more advanced users, please see our "Connect to Specific Location" article to learn how to connect to a specific location/server.